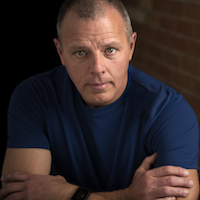 I’ve dedicated my career to making better software and more livable teams for those that make better software and my long tutelage under Alistair Cockburn has been my template for success. I am honored to be recognized as being “in the heart of agile”. Jonathan House, VP Engineering at Trōv, got started with agile development about the time it was named in 2001. Former Senior Architect at several companies, moving into roles as Director of Development, he saw the problem shifting from creating robust designs to creating robust teams. His work now as VP of Engineering is to create teams (and distributed teams) that functional well without his interference. This really means something to me as a software professional. I’ve dedicated my career to making better software and more livable teams for those that make better software and my long tutelage under Alistair Cockburn has been my template for success. I am honored to be recognized as being “in the heart of agile”. 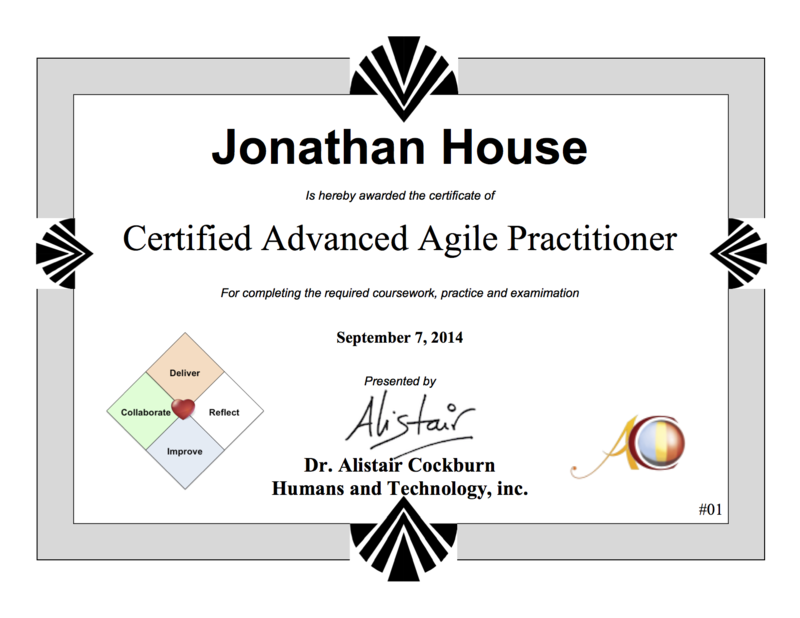 Jonathan was the 1st person to be awarded the Certified Advanced Agile Practictioner, after 4 years of Dr. Alistair Cockburn running the program.